Supply chain forecasting can be a hazardous task, but Mark Giambrone, forecast & inventory manager at Marks and Spencer will look at ways of creating better forecasting strategies, when he speaks at the Supply Chain Conference in March. Delivery robots are now being trialled on the pavements of London, and the future for this technology will be a key focus for the Supply Chain Conference which takes place in March. Volvo Trucks is introducing a new battery system for its FH and FM ranges that uses two separate battery stets to ensure there is enough power for in-cab functions while reducing the risk of standstill owing to discharged batteries. 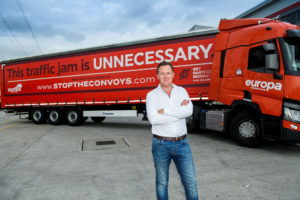 Europa managing director Andrew Baxter has launched a petition to cut traffic jams at the Dartford Tunnel by redirecting all oversized and hazardous goods vehicles the other way around the M25, which he argues could save up to 2.5 hours of traffic jams at the Tunnel each day. The Body Shop’s approach to automation technology will be the focus of a major presentation at the Supply Chain Conference in March. Horizontal collaboration across European supply chains offers the opportunity to improve customer service and reduce costs. Winners from the Supply Chain Excellence Awards are set to share their wisdom at the upcoming Supply Chain Conference in London. Are you mastering the returns process? 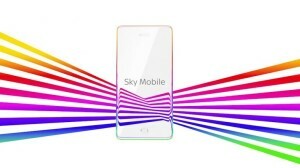 Vinesh Patel, operations manager – mobile at Sky, talked about tackling returns at the company’s new mobile business on the second day of the Omni-Channel Conference in Central London.